It’s hip to be square! Arrange your photos in a stylistic square photo display, perfect for showcasing your best square cropped photos and Instagram photos, the Cube is a simple arrangement designed to fill space in almost any home. 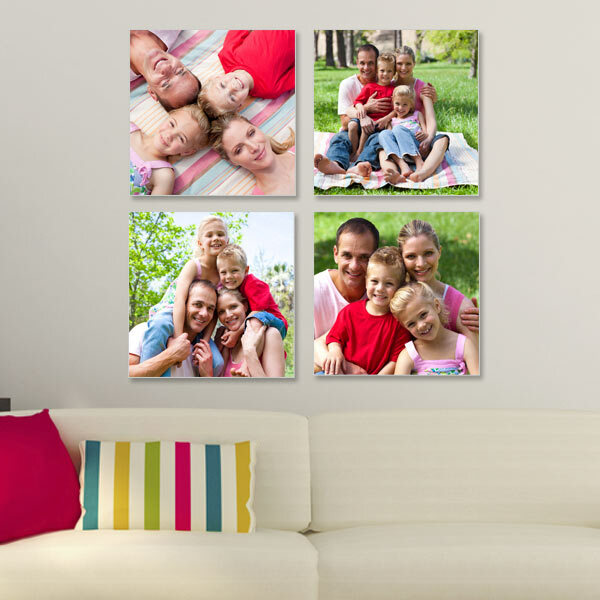 Create with square photos on canvas and add color and warmth to an empty and akward space in your home. The Cube can be expanded vertically or horizontally in any direction and you can easily add more interest by adding additional square canvas prints in other various sizes.